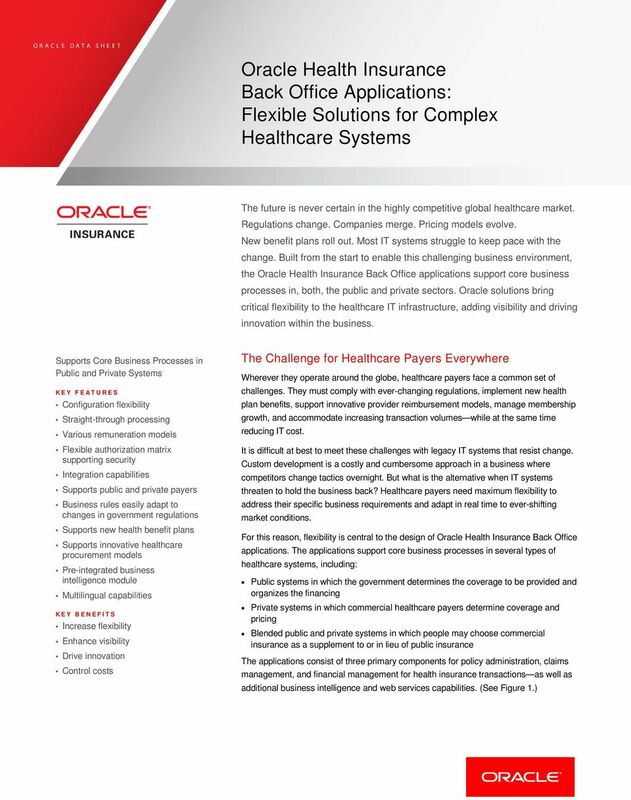 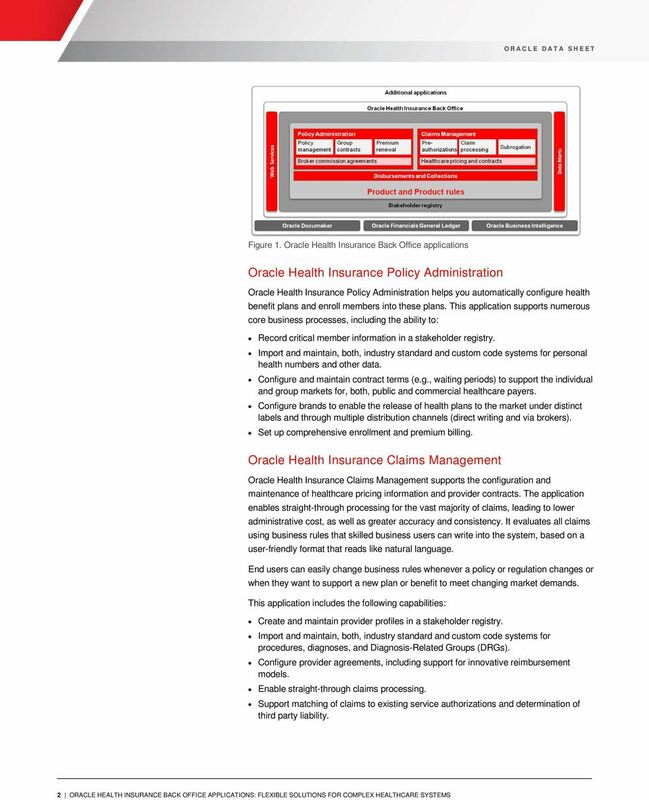 Download "Oracle Health Insurance Policy Administration. 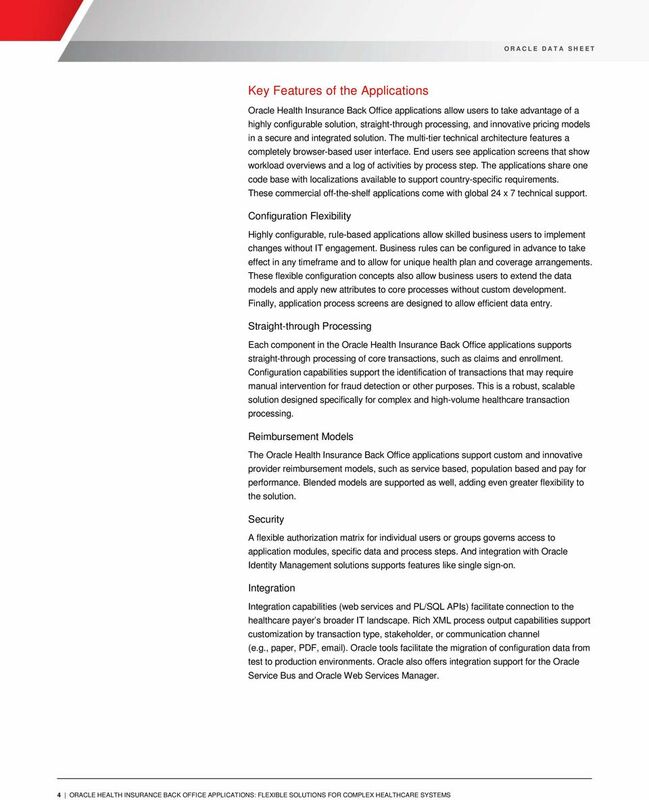 Oracle Health Insurance Claims Management"
Prescription for a Healthier Tomorrow: Considerations for Health Insurance IT Modernization in Brazil ORACLE WHITE PAPER JULY 2014 Disclaimer The following is intended to outline our general product direction. 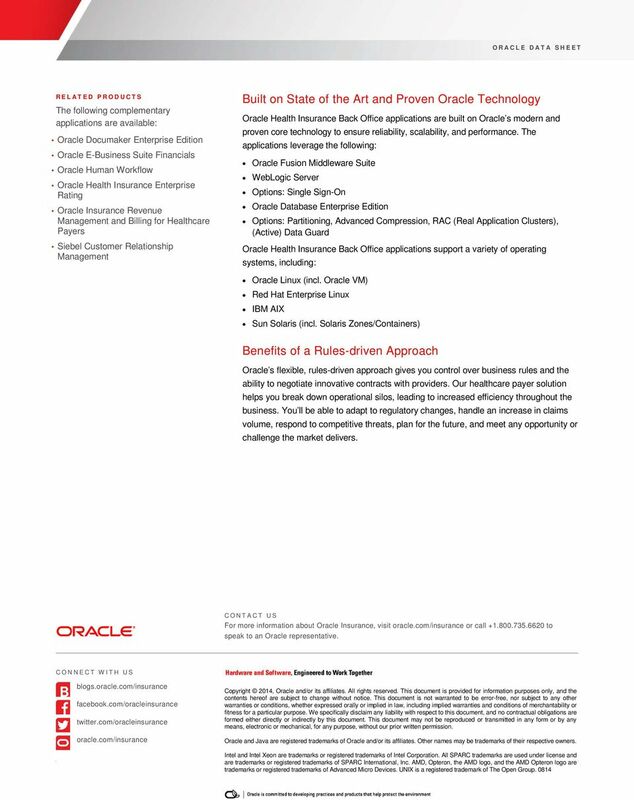 StorageTek ACSLS Management of distributed tape libraries is both time consuming and costly involving multiple libraries, multiple backup applications, multiple administrators, and poor resource utilization. 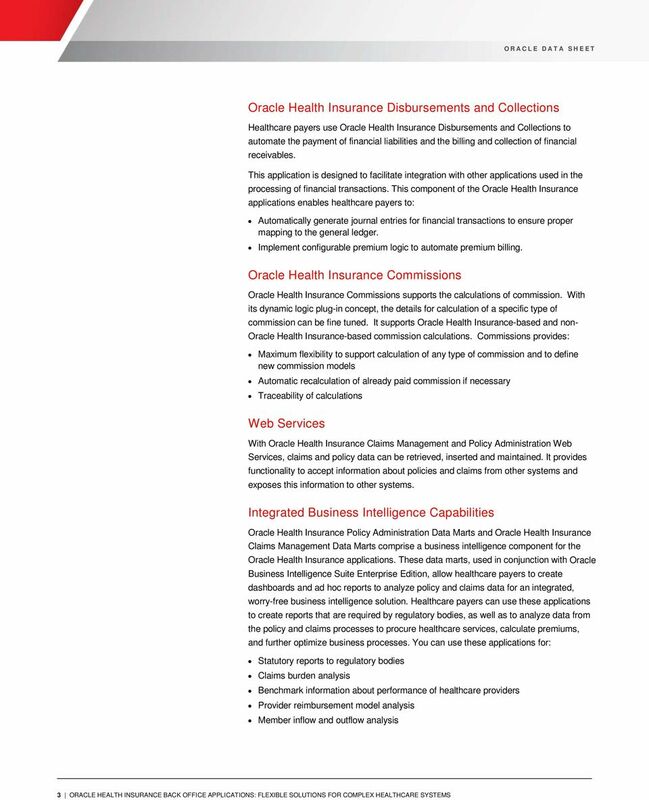 Time for an IT Check Up Preventive IT Care Supports a Healthy Future for Medicare Advantage Plans ORACLE WHITE PAPER JULY 2014 Disclaimer The following is intended to outline our general product direction.